Price listed is for six glass beads. 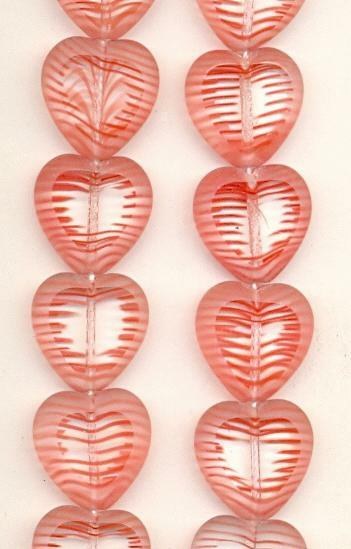 These are approximately 15mm transparent clear/red striped heart shaped beads with frosted edges. The hole is drilled through the length of the bead.